More than five million paying businesses are now using G Suite, with over one million signing up during the past 12 months. While the majority of the market still belongs to Microsoft and an expanding Office productivity suite, the figures highlight strong growth in response to enterprise feedback. “Companies are reimagining how work happens by using cloud technology to collaborate and stay productive,” said David Thacker, vice president of product management at G Suite, Google. Since launching in 2006, Thacker said the vendor has introduced “more than a dozen” new apps and services, in addition to intelligent features, and phishing and spam controls. Today, key customers include Verizon, Colgate-Palmolive and Keller Williams, alongside Whirlpool, Nielsen and Broadcom. “Leading companies from financial services, healthcare, retail and more are tapping G Suite to work better and faster across functions and locations,” Thacker added. During the past 18 months, the tech giant has overhauled G Suite to offer nearly 300 new capabilities to users, spanning security, smart technology, voice and data. 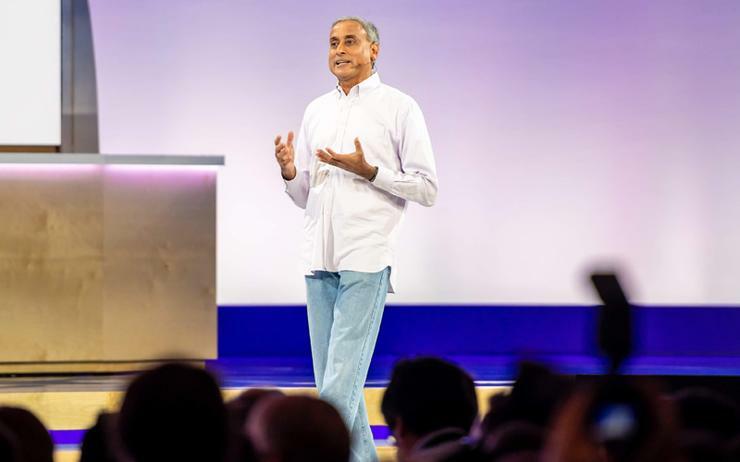 “Over the last decade we’ve witnessed the maturation of G Suite - from the introduction of Gmail and Google Docs to more recent advancements in AI and machine learning that are powering, and protecting, the world's email,” said Prabhakar Raghavan, vice president of Apps at Google Cloud, when speaking during Next’ 18. Even though Microsoft still comfortably leads the market, at a minimum, Google is loosening loyalty to Redmond during a time of stiff competition from start-ups such as chat service Slack that offer specialised online business tools. The figures follow news that Google is raising prices 20 per cent for the basic and business versions of G Suite, representing a cost increase for the first time in a decade.